Just a general question and observation to everyone reading: Those that go to Academy looking for a smoker , are you looking for a discount priced unit knowing or thinking you cannot afford a custom made pit ? When you set out to buy a smoker and you have a price in mind, is that price usually more than you can afford or do you hold back thinking you can get a deal ? How do I convince those guys spending $500 on the tin can every 5 years at Academy to spend $1000 on a custom made model with a lifetime guarantee ? I build the same pit as all the big well known brands build and for twice the price of an Old Country you get a smoker that's 10 times as nice. I just don't get the number of 20 gauge smokers being sold. 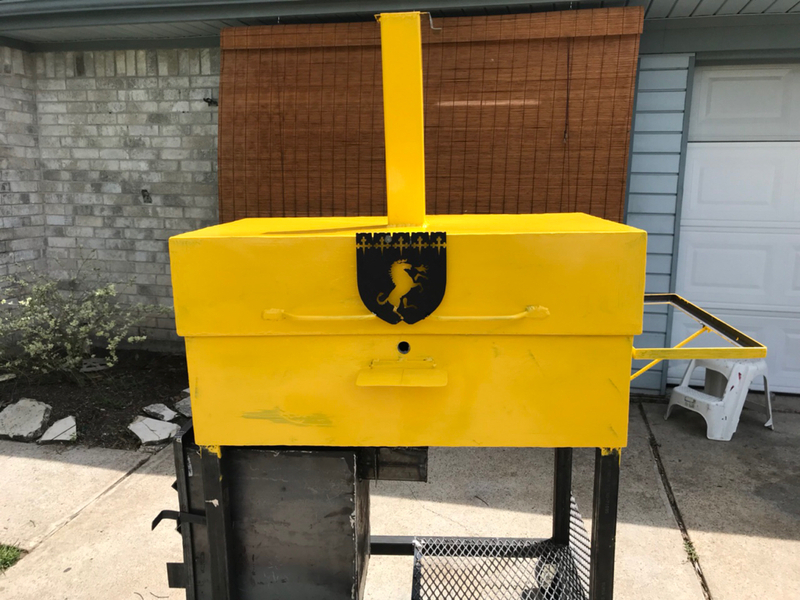 bighatbbq wrote: Just a general question and observation to everyone reading: Those that go to Academy looking for a smoker , are you looking for a discount priced unit knowing or thinking you cannot afford a custom made pit ? When you set out to buy a smoker and you have a price in mind, is that price usually more than you can afford or do you hold back thinking you can get a deal ? 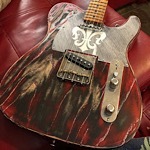 How do I convince those guys spending $500 on the tin can every 5 years at Academy to spend $1000 on a custom made model with a lifetime guarantee ? I build the same pit as all the big well known brands build and for twice the price of an Old Country you get a smoker that's 10 times as nice. I just don't get the number of 20 gauge smokers being sold. The amount of combined money I spent on my wife's purse and watch is directly proportional to what I paid for my Old Country BBQ pit. Purely coincidence of course. When it comes time to upgrade her purse and watch, the OC may go on Craigslist and I may buy one of yours. I couldn't justify spending $1000 on a pit that's going to do the same thing the $500 Old Country will do. It's not like the OC is a piece of junk. It's certainly not "20 gauge". Most of the smokers in Academy ARE junk, but the Old Country is not. It's going to last well beyond 5 years with proper maintenance, as any pit requires. Is it as nice as yours? No way. If you had a pit of about the same size of the 20" Old Country, and were selling it for $650, maybe $700, I'd have bought it. Your stuff looks as good, scratch that, better than anything I've seen, and better than anything at Academy. Looks better built than any of the premium builders I've seen online (Yoder, LyfeTyme, etc). I know steel ain't cheap and neither is skilled labor, and $650 may not be a reasonable price. Maybe the way to convince people would be to put some comparative pictures on your website. Compare features of the Academy pits to yours with up close pictures. The dealers you've got listed are a good idea. Do you have literature at their locations? txag01, my sentiments exactly concerning the 20" Old Country BBQ Pit. It certainly seemed to me to be better built than the Oklahoma Joes I looked at and with heavier grade steel. That said I am certain that Gator Pits and the Big Hat pits are still much better, but for my money I am looking to get the Old Country, that is as soon as I pay my IRS bill this year. I am currently just cooking on a Weber 22' Gold after having giving away my old Bar-B-Chef Charcoil grill (the grill not the smoker they made). I miss the Bar-B-Chef way more than I thought I would but it was wearing out and needing replacement parts and since Barbeques Galore changed owners the parts for it were no long available. It cooked unevenly and was not ever meant to be a smoker although I used it that way for ribs many a times. 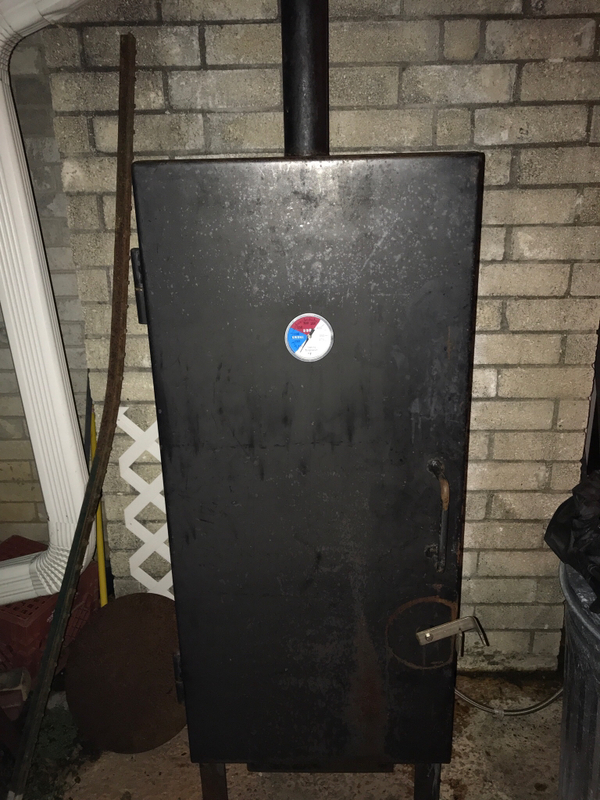 I will use the Weber for most of my grilling needs, but I am looking for a good quality smoker for a reasonable price and I am wanting an offset not a WSM, so I have my sights set on the Old Country. Don't take my opinion to mean that I don't think there's a market for your pits. There definitely is, especially with the amount of people getting into BBQ'ing. I'd try to market in areas where you typically find more expendable income. Maybe BBQ stores in places like Southlake, Plano, etc, if you're not already doing that. Thanks for the feedback and the compliments. There is a cooking difference when the steel is twice as thick and heat is held twice as long. I guess my point is you will buy several more pits during your lifetime and a Big Hat would be your last grill purchase and will be smoking meat to perfection long after you're gone. Last edited by bighatbbq on Wed Mar 24, 2010 9:08 pm, edited 1 time in total. bighatbbq wrote: Thanks for the feedback and the compliments. There is a cooking difference when the steel is twice as thick and heat is held twice as long. I guess my point is you will buy several more pits during your lifetime and a Big Hat would be your last grill purchase and will be smoking meat to perfection long after your gone. I sent an e-mail to Old Country asking what the width of the steel is on the 20 in. model sold at Academy and was informed that it is 1/8 in. Yesterday I went back to the same Academy I visited last week to take another look and I have to admit I was not as impressed as I was the first time I looked at these as the fit and finish just disappointed me although I still like the design. They do make a 20" model but with 1/4 in. steel that is advertised on their Web site, see http://www.bbquepits.com/backyard_bbq_pits.htm, scroll down to the bottom of the page. This one is advertised for $900. I noticed Big Hat has a distributor in Frisco so I may have to go check their selection out. Like I said I have to pay the tax man off first before even considering a new smoker. I stumbled upon this old thread when doing a BBQ related search online. I have a friend who smokes with a Gator pit, and it's amazing. And I have no doubt that the Big Hat pits are too. I would prefer to support smaller, top, custom manufacturers like that. However, what I got was what I could scrape together funds for. 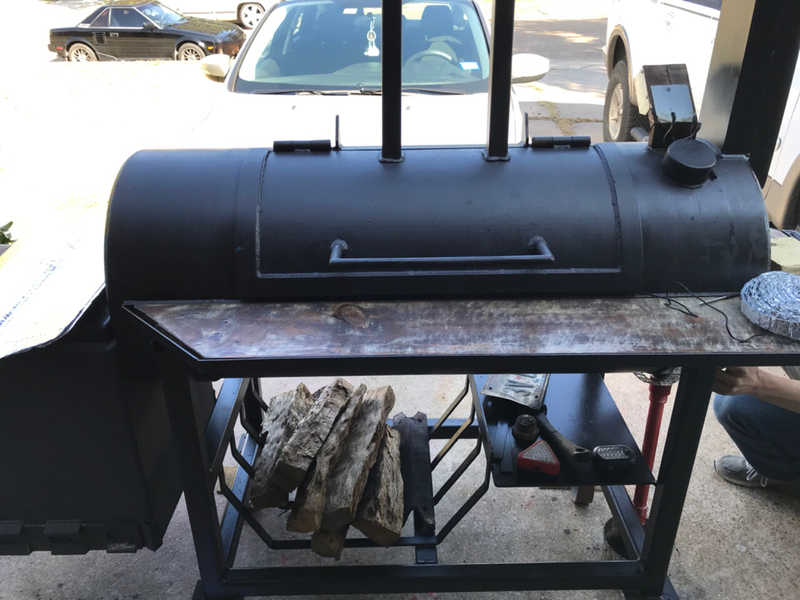 In late December 2014 or early January 2015, I was tired of the cheaply-made Longhorn, and I upgraded to the Old Country All-American Brazos smoker. Roughly 18" x 36" main pit, 18" x 16.5" fire pit, and the best part of all, 1/4" steel construction. I customized it with high-heat-resistant gasket smoker seal to improve efficiency. I have absolutely loved, and nearly 4 years later the thought of having to replace it anytime in the foreseeable future has never even crossed my mind. Do I think it's up to par with a Gator or Big Hat? Of course not. Would I prefer to have one of their custom pits? Absolutely! And I'd like a 24" x 48" main pit. For that matter, I'd love an even bigger one, on a trailer. I'd love a double-wall insulated smoker. Maybe one day. A guy can dream. But what I do have rocks. It is easily the best made, most durable, most consistent, and best cooking smoker that I have ever owned. For the money that I had to work with (and even that required saving some and planning), I think that I did about as well as I could possibly do. For those with the available resources, I encourage you to go with one of the excellent pits from either Big Hat or Gator. But for those who don't have a budget to do that, but would like a solid step up from the more disposable smokers, I heartily recommend the All-American Brazos. It's a pretty serious backyard smoker. Bill E wrote: I stumbled upon this old thread when doing a BBQ related search online. 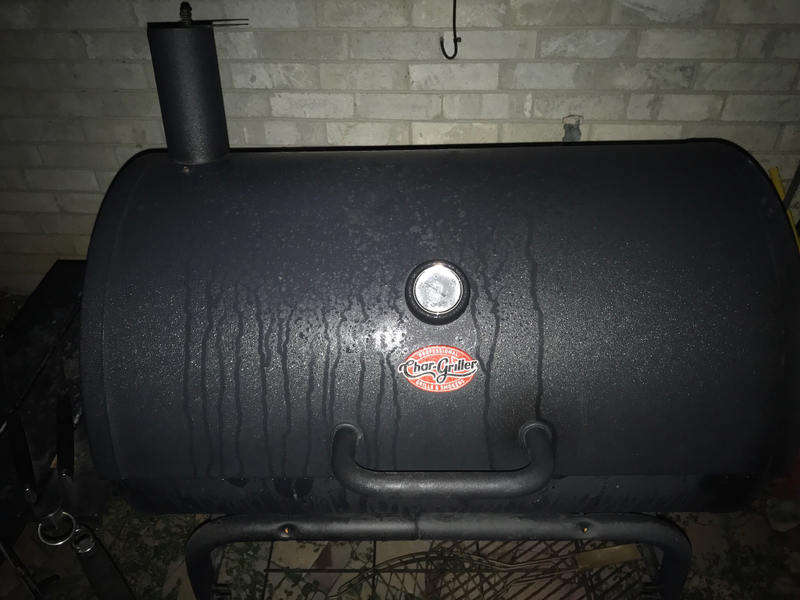 In late December 2014 or early January 2015, I was tired of the cheaply-made Longhorn, and I upgraded to the Old Country All-American Brazos smoker. Roughly 18&quot; x 36&quot; main pit, 18&quot; x 16.5&quot; fire pit, and the best part of all, 1/4&quot; steel construction. I customized it with high-heat-resistant gasket smoker seal to improve efficiency. I have absolutely loved, and nearly 4 years later the thought of having to replace it anytime in the foreseeable future has never even crossed my mind. Do I think it's up to par with a Gator or Big Hat? Of course not. Would I prefer to have one of their custom pits? Absolutely! And I'd like a 24&quot; x 48&quot; main pit. For that matter, I'd love an even bigger one, on a trailer. I'd love a double-wall insulated smoker. Maybe one day. A guy can dream. Good post! That’s how I started years ago with 150$ pit maybe 20gauge leaked smoke from every gap but worked and next thing you know I’m hooked! Btw still in my backyard used for grilling steaks etc. Then to a custom made hand me down (free) 1/8 inch upright but i didn’t like the drippage of meat onto other meats. I am not a fan of upright smokers. I Still have as I like to use as warmer. And then to an 1/2 inch used offset which i bought on Craigslist super cheap and I updated the firebox and some other amenities ($700) which i loved until i competed on...it is too heavy to tote, push, and wasn’t fuel efficient, poor heat retention despite 1/2 steel and not enough cook space. On Craigslist now as it takes up too much room! Good luck on your bbq journey! Last edited by PinoyPitmaster on Wed Aug 01, 2018 8:44 am, edited 1 time in total. For me it was really a matter of not knowing that there were better options out there (for not that much more money). When I bought my first offset (an Old Country from Academy) BBQ was a much more casual thing for me. As I got more serious about the "Art of Q" my interest in better tools for the job increased as well. I'm not sure if that's helpful, just my own experience.